A man died following a fire at a single-story home in the 29000 block of Edgewood Road in San Juan Capistrano Tuesday, Feb. 2, 2016. SAN JUAN CAPISTRANO, Calif. (KABC) -- A man died following a fire at a single-story home in San Juan Capistrano Tuesday night. 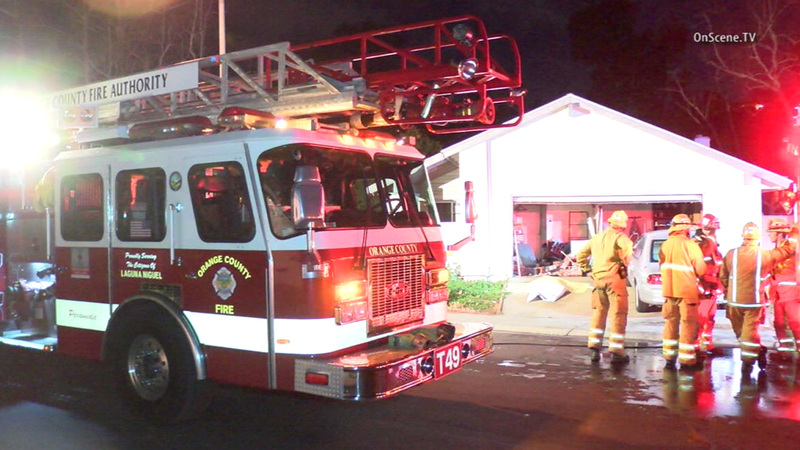 The blaze was reported in the 29000 block of Edgewood Road around 6:45 p.m., Orange County Fire Authority Capt. Steve Concialdi said. Responding firefighters arrived and quickly extinguished the fire. Crews then searched the scene and found the man in his 50s crouched on the floor. He was carried outside to the lawn but died at the scene from burns and smoke inhalation. The cause of the fire remains under investigation but officials say the home was not equipped with a working smoke alarm. The man's name was withheld pending notification of kin.